Anghous, Michele, Daniele, Prysor and Irene (From left to right). 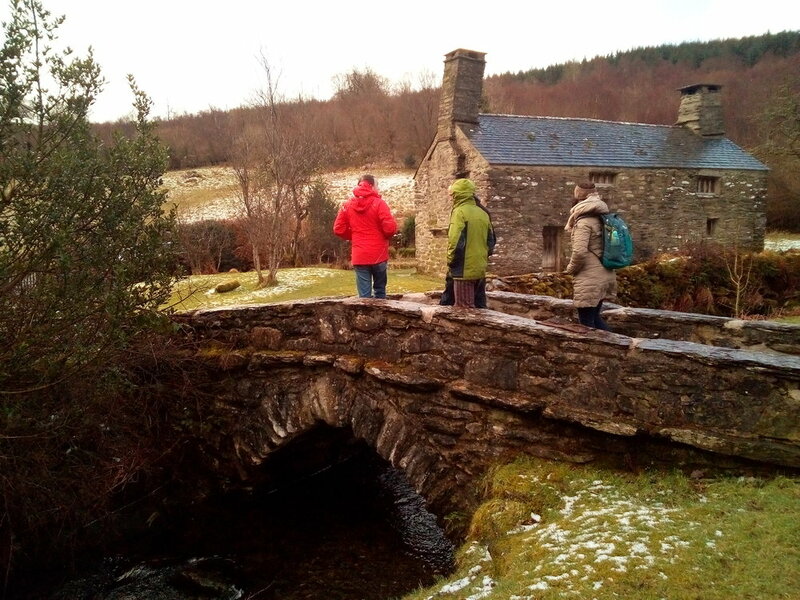 On the 12th of February, members of the team visited a natural heritage site managed by National Trust Wales. The objective of the trip was to evaluate the suitability of this location as a pico-hydropower demonstration site for our “Pump As Turbine” technology to generate energy from the river flow. This visit follows the preparation of a technological and economic feasibility study for the site, which is part of Daniele’s Novara PhD. We are excited about this installation and also of partnering with the National Trust Wales to get this real-world installation in operation. Demonstration sites are an essential part of our project, as they act as places of interaction, learning and networking between our researchers and water and energy practitioners. To have access to more detailed information, check your eligibility to be part of our Smart Specialisation Cluster. Thank you! Go raibh maith agat! Diolch!